Flip a coin for each energy attached to this pokemon. 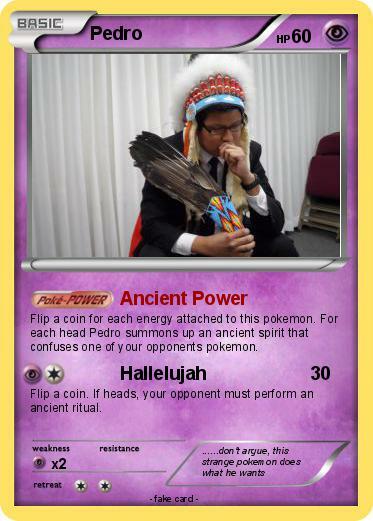 For each head Pedro summons up an ancient spirit that confuses one of your opponents pokemon. Flip a coin. If heads, your opponent must perform an ancient ritual.